The current form of the proposal equips states with powers to impose general restrictions on asylum seekers’ freedom of movement for reasons of convenience, without taking an individual decision. Restrictions on liberty, imposed for reasons of public order or to prevent individuals from absconding, can in some cases lead to detention if they are not complied with. 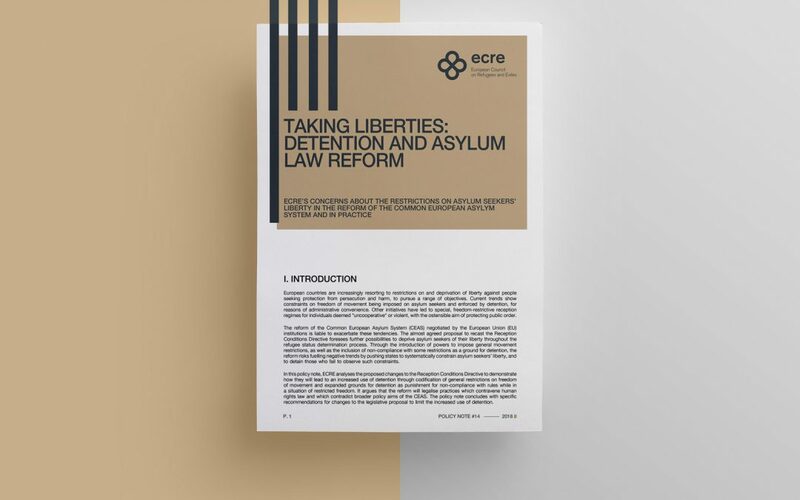 Encouraging states to subscribe to general restrictions on asylum seekers’ freedom of movement and to employ the use of punitive detention contravenes standards laid down in human rights law and runs counter to the broader policy objectives of the Common European Asylum System (CEAS) such as to ensure the quality of asylum systems and societal inclusion of refugees. ECRE recommends amendments to the recast Reception Conditions Directive proposal to ensure that restrictions on individuals’ freedom of movement are based on formal, individual decisions that are amenable to judicial control, and to remove the possibility for states to impose detention as punishment for non-compliance with residence restrictions.